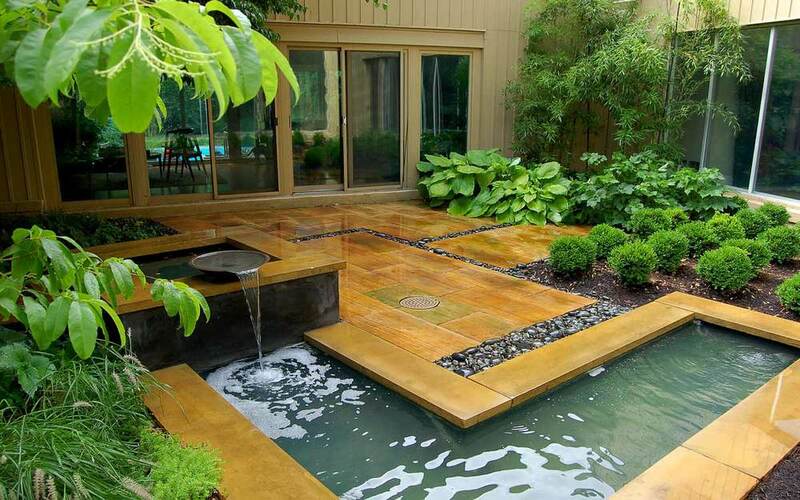 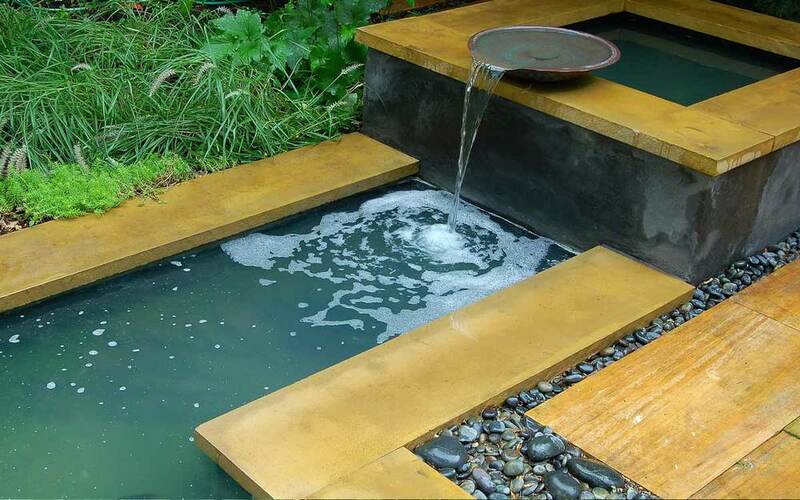 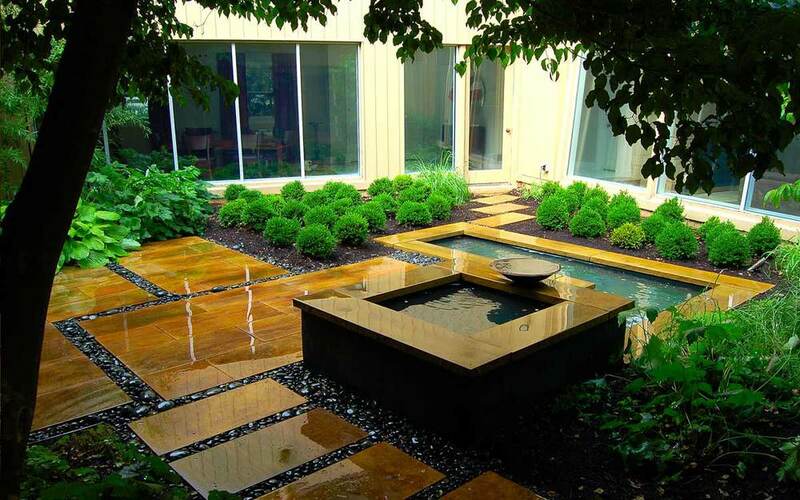 This modern landscape design was created for a contemporary home in Lancaster, PA. 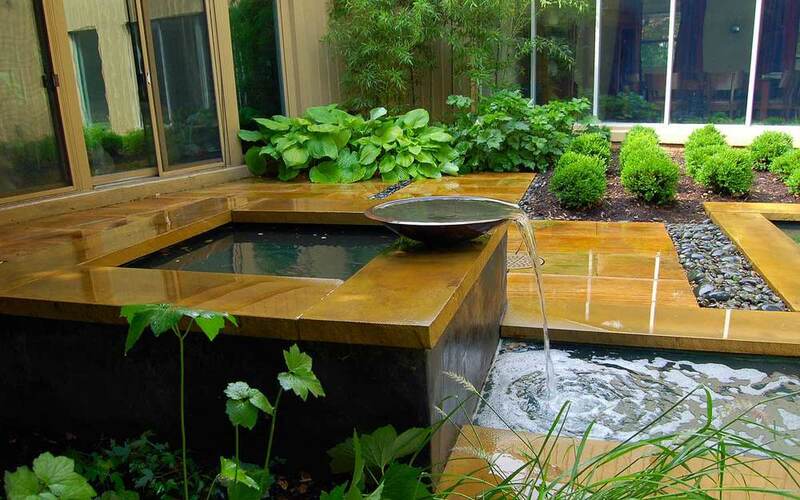 The predominant characteristic of this enclosed garden is the intricate water fountain feature constructed of stone with a bronze basin. 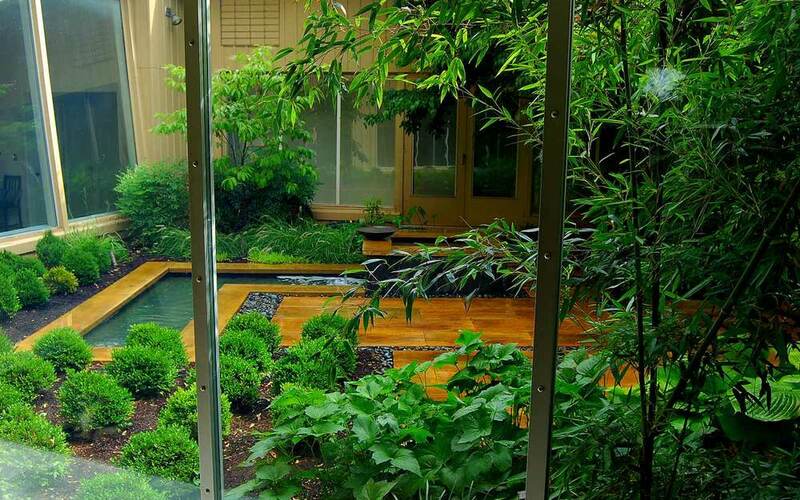 Large windows provide views of the garden.